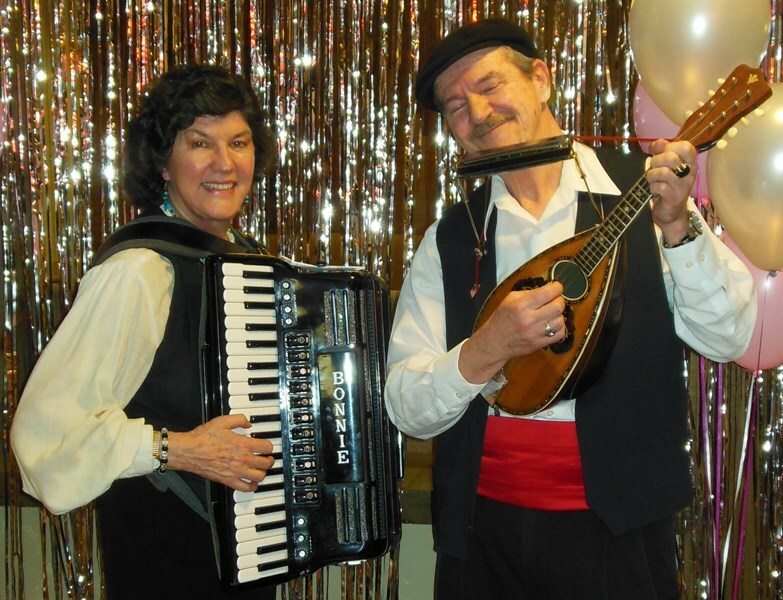 The Tarantellas are a remarkable acoustic duo that specialize in playing the "Legendary Favorite Songs of Italy". 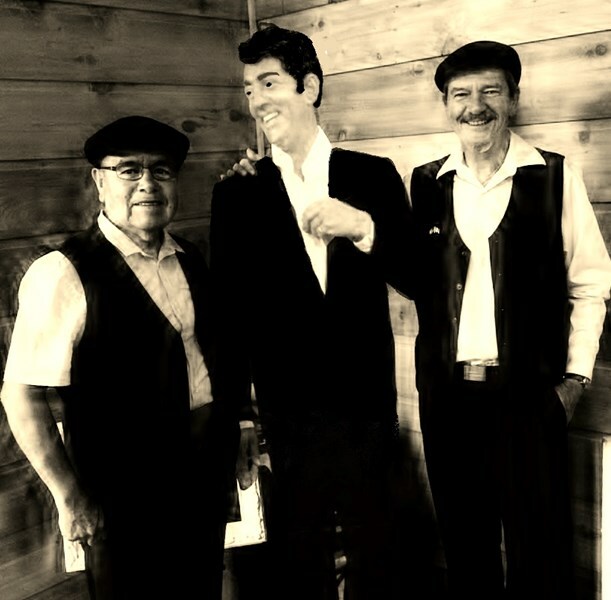 With an Italian Bowlback Mandolin, Accordion or Acoustic Guitar, Chromatic Mouth Organ, Friscalettu (Sicilian Cane Flute),and Harmony Vocals, their sound evokes the sunny skies and love for life of the Italian culture. Romantic Love Songs, Classical Waltzes, haunting Sicilian Mazurkas, and wild Tarantella Dances are all part of the authentic mix of Melodies Italiano. Anyone who loves Italian food and wine, (and who doesn't? ), will be enthralled by the beauty and grace (and sense of humor) of Italian Music. Unlike today's pop songs which come and go, many of these tunes have endured for hundreds of years, and are known and loved the world over. The melodies and rhythms are irresistible for young and old alike, and The Tarantellas will make them come alive for you! The Tarantellas are available to entertain you and your guests, both as a Duo or as a Solo performance by Richard Sclafani, at Weddings, Receptions, Concert Halls, Private and Corporate Parties, Wine Tastings, Ethnic Music Events, Retirement and Assisted Living Communities, Italian Restaurants, Birthdays, Festivals etc. We can perform acoustically, as "strolling musicians", or with amplification using our PA System or yours. An overall fantastic experience! Thank you for bringing your wonderful music and spirit to our party. The Tarantellas were perfect for our community cultural event! Richard and Juan were communicative, punctual, friendly, professional, and most of all talented. A great duo! Thanks so much for hiring us, Lauren, and for the glowing review! It was a pleasure working for you, and we give you and your event "five stars" as well! Hope we can be of service again sometime. I cannot tell you how pleased we were with the Tarantellas at our wedding this weekend. They played for our guests as they arrived and did a fantastic job. Thank you for being a part of our epic day! Our experience with the Tarantellas was amazing! They added a beautiful touch to our wedding reception. I would highly recommend them to anyone in the future. Please note The Tarantellas Italian Duo will also travel to Bainbridge Island, Bellevue, Kirkland, Mercer Island, Port Gamble, Suquamish, Edmonds, Bothell, Mountlake Terrace, Bremerton, Kingston, Lynnwood, Poulsbo, Redmond, Everett, Port Orchard, Renton, Indianola, Silverdale, Woodinville, Keyport, Vashon, Issaquah, Olalla, Rollingbay, Snohomish, Hansville, Kent, Mukilteo, Seabeck.